It’s a hot day in the middle of the summer. Bees are buzzing, mosquitoes whining, butterflies flitting, and houseflies and dragonflies darting here and there. It’s easy to believe that insects are taking over the world. And, indeed, of all the animal species on Earth, more than eight out of every ten are insects. 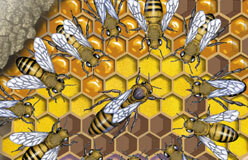 Insects are divided into 31 orders, or categories. 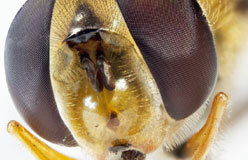 Bees (and wasps) belong to Hymenoptera, the fourth largest order (after beetles, flies, and butterflies). 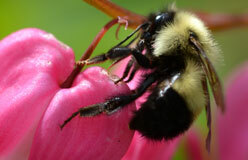 There are about 20,000 species of bees worldwide. The many species of bees do more than just buzz around. 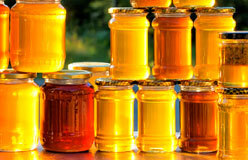 They make the sweet golden liquid called honey. 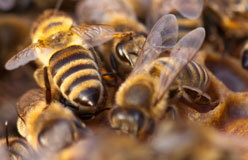 They also produce beeswax, which is used in candles, makeup, and other products. 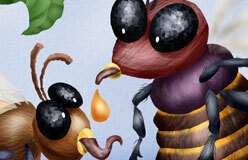 The most important job of these insects is pollinating flowers. Pollen is the yellow dusty substance from the center of a flower. Bees carry pollen from one flower to another. 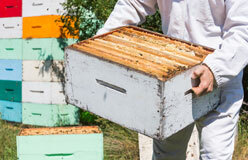 By doing this, bees help in the production of seeds for flowers, fruits, and vegetables grown all over the world.